No forms of bullying shall be permitted or condoned by the Vernon Parish School Board. All students, teachers, and other school employees shall take reasonable measures within the scope of their individual authority to prevent violations of this policy. To read more on the policy, view the Vernon Parish School Board Policy Manual. You can also visit www.stopbullying.gov to learn how to be more than a bystander and what you can do to address bullying in your community or call the Office of Child Welfare and Attendance at (337) 239-3401, Mr. Hub Jordan, Director. Bullying can take on many different forms. 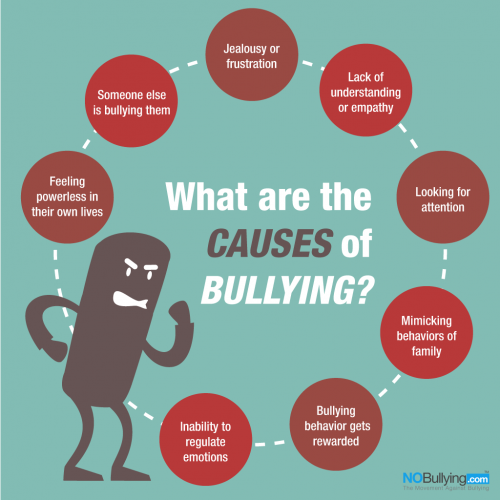 Listed below are different types of bullying that can happen and with each type are a few examples that can be associated with that type. Ignoring people on purpose - "the silent treatment"
Bullying is a form of abuse. It is comprised of repeated acts over time that involves a real or perceived imbalance of power with the more powerful individual or group abusing those who are less powerful. The power imbalance may be social power and/or physical power. Forms of bullying include but are not limited to physical, emotional, verbal, electronic (cyber), and sexual.